Come Right On In, Fellow Q-Bies! 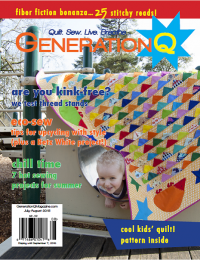 Welcome to Generation Q Magazine, the new blogzine and online source of fun, information and inspiration for those who love the modern and contemporary vibe in quilting, sewing and crafting. GenQ has been in the birth canal for, oh, more than a year, back when we (GenQ editors Jake Finch, Melissa Thompson Maher and Megan Dougherty) first snapped to the excitement and allure of the modern movement. 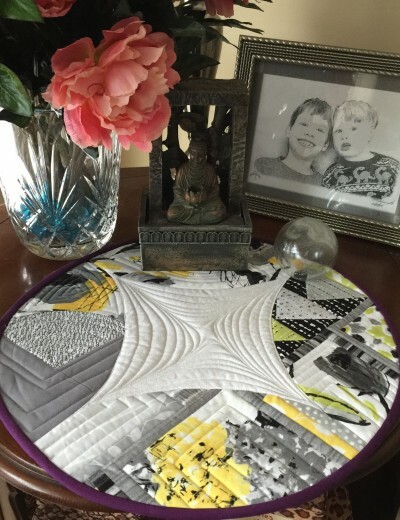 Most of the quilty magazine community saw mods as a fun, but contained, niche in a quilting world rich with diversity, but we just knew there was more going on than bold, graphic quilts with a lot of solids and wonky cuts, and we wanted to play, too! 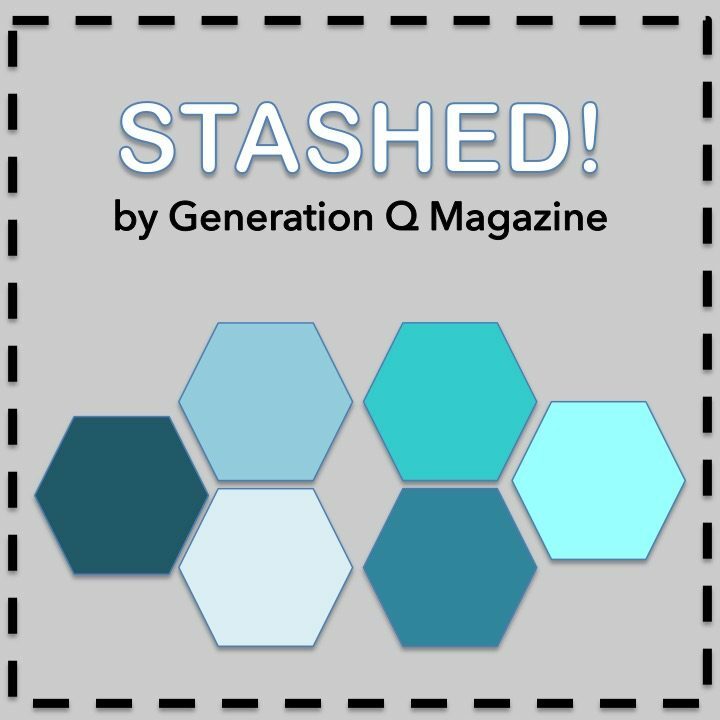 Generation Q Magazine will explore the people, fabrics, designers and trends that give this mod/contemporary movement its signature stitchy style. 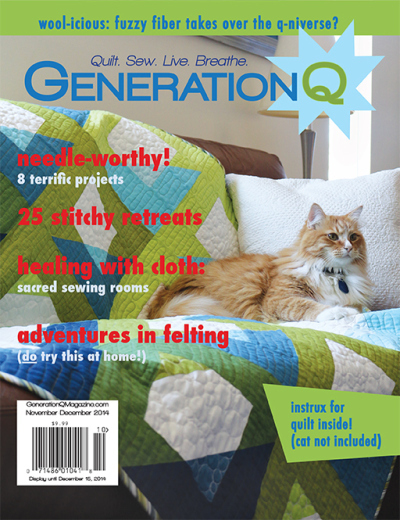 We’ll be a storehouse of inspiration and information for the drool-worthy stuff we all love most about quilting and sewing. Guest bloggers will check in regularly and there’ll be features covering all aspects of the q-life. Patterns and projects? Of course, but oh, so much more as well! And we’ll be a community for expression and discovery. 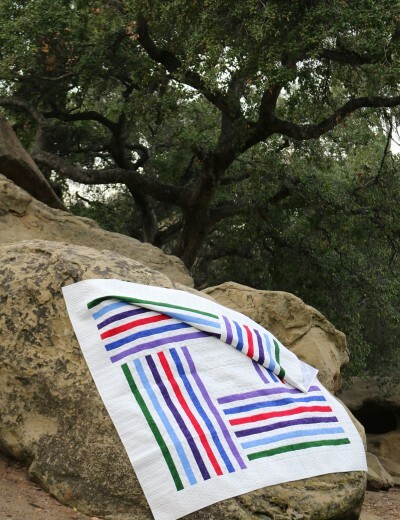 Sure, we’ll nod at the rules, but instead of invoking some Quilt Police-ish mantra, we’ll offer just-the-facts tutorials so we can all build our stitchy skills together. We’ll take every opportunity to laugh—and make you laugh right along with us! And because we revel in extending creativity to every facet of daily life, we’ll dig out and serve up the lifestyle information that feeds this hunger. We’ll also build up the community facet of GenQ with source lists and links to other blogs, charity efforts, contests, shows and more—anything of interest to you and us. So, the fun starts today! 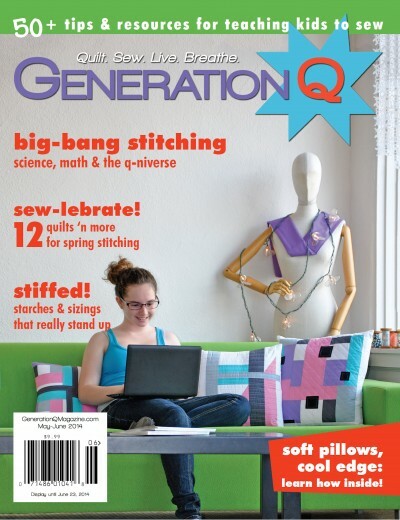 Generation Q Magazine will publish weekdays, five days a week. Every Sunday, we’ll post a sneak peek at the week to come, sort of a menu of the delicious bits we’ll be serving. Since this is the debut, we didn’t get to the menu yesterday. (We were too busy trying to figure out how to post things!) 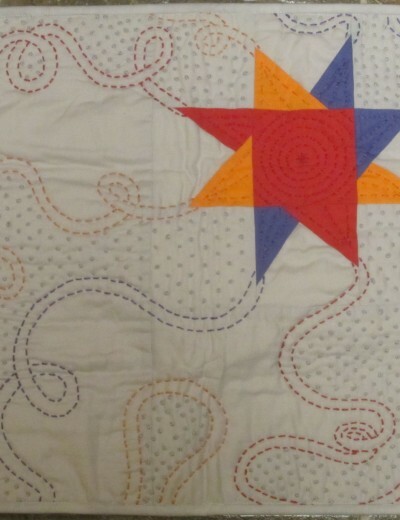 So now we’ll tell you that tomorrow is our first, too-cool project flying your way, a delightful little wall quilt, Two Buds, by Elaine Wong Haselhuhn. 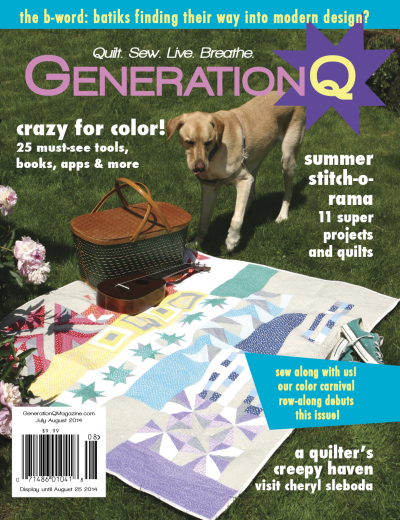 Elaine is a member of the Modern Quilt Guild Milwaukee, and this is her first (of many we’re sure) official design publication. Thanks for playing with us, Elaine! As we grow, there will be more treats for you to enjoy. Being the Shameless Promo Hos we are, all we ask is that you spread the word about GenQ. The more people who play with us, the faster we can grow. So sell us, baby! Make us yours. We’re up for the task. And all feedback is completely welcome. P.S. Don’t forget to visit our Facebook page and “like” us. 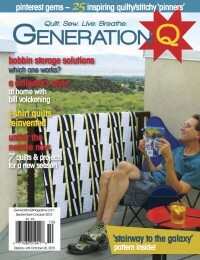 Just go to www.facebook.generationqmagazine.com. We’re also on twitter. Look for @GenQMag. P.P.S: And we also, in the interest of Shameless Promo Ho activities, have established a Zazzle store with pretty little things featuring our new badge. Come see if it’s worth parting with some of your green to tell the world, “I am GenQ” at http://www.zazzle.com/generationqmagazine. 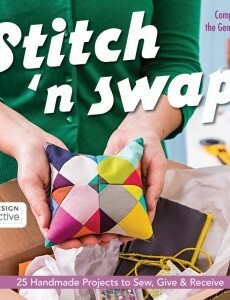 Now, we couldn’t just leave you without a little something to celebrate the new generation of creative stitchers. So we tapped our talents and came up with the following, a very special cocktail just for…all of us! Raise your fave goblet high, sing out the toast written by our Dear Megan below and knock back this incredible GenQ Piecemaker in honor of our wonderfully insane fiber life! make our blog that much richer. (and one guy-type stud muffin). that we cannot stop sewing. that, oh yes, is still growing. In shaker, combine Godiva liqueur and vanilla vodka. Divide between two glasses. Add champagne to glasses slowly. It will bubble up nicely. Garnish with chunk of chocolate partially slit** and placed on glass rims. Serves 2. *A wonderful substitute for sweet champagne is almond champagne, which offers just a bit more sweetness. I’m making my cocktail and toasting you right back! Cheers to GenerationQ! Thanks Jacquie! And for the tweets this morning as well. Yay its up and going. Gotta love a website that offers poetry, quiltystuff and a chocolate cocktail!!! Congratulations to you all, can’t wait to see what’s coming tomorrow. Woohoo!!!! Thanks Linni! Glad you’re here with us! Congrats to you all! I’ll be cheering from my couch!! Can’t wait to see what comes! Couch Rebecca? Are you under the weather today? Do we need to secure a Cabana Boy for you? Y’all got cabana boys?? Sign me up for one!! Yay to y’all for getting the excitement going! Woo hoo! I’m anxiously awaiting future posts! Thanks for checking in Lois. All we know is cheeky. I checked in first thing this am! tweeting and blogging now! Thank you, thank you for tweets and posts and all the q-love! Eager to see what great things you come up with. Congratulations on your new endeavor! Congratulations on the first post, Generation Q! Congrats!! Just subscribed because I can’t wait to see what you crazy kids are up to!!! Someone lay in a supply of Band-Aids, please! That’s why somebody’s gotta be the Designated Stitcher! Looking forward to this!! THANKS for taking the plunge! Thank YOU Dale for swimming with us! We’re gonna have fun, I tell you! For those who don’t know, Dale is an awesome art quilter/fiber artist. We’re honored to have her playing with us. Thanks Pam! You’ve been with us from the beginning, and we’re so happy for it! Congratulations on the new ventur! Awesome job on the header, Megan. Cheers! Why, thank you. I have to say I am pretty darned proud of it. Thanks for your endless support Bonnie! 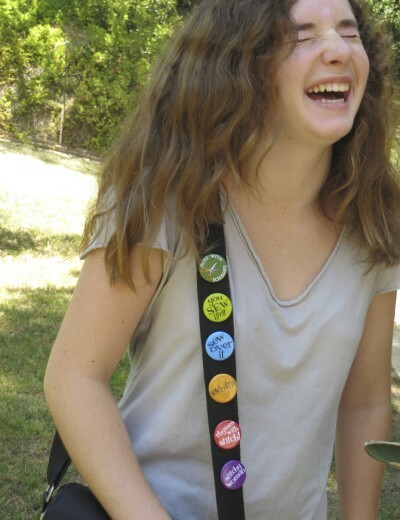 You just rock!! Congrats on this new venture!!! I look forward to seeing the great projects and what you all will be showing us!!! 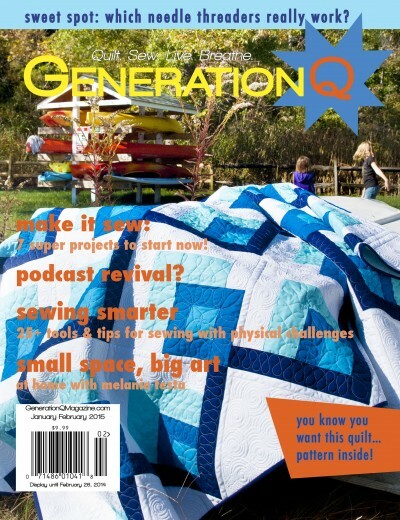 Not just projects, Roniquilts2, but plenty of fun facts and endearing profiles into what makes us tick! Stick with us. You won’t get bored! Congrats on launching the site! 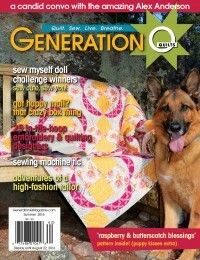 I posted the link on my FB page for all my quilt friends to check out. I’m looking forward to reading this site. Congratulations on your new venture! I know that I’ll be eagerly awaiting it each and every day! And we will love hearing from you as much as you want to share. Thanks Maureen! I’m so stoked for this. Ya’ll had better keep your promise on that daily thing or I’ll get cross and pouty. PS-Megan you need a real picture! We need to bask in your glory! Well, just remember that we’re talking WEEKDAYS! Even we Quilt Hags need a weekend with the family. And Megan has promised us a real picture, so keep her to it! You know not what you ask of me. What you call my “glory” is bad skin and a double chin. Definitely Not Safe For Work. Or home. Or anywhere else. And yes, I know I promised, but – LOOK! A PUPPY! Don’t believe it, Eliste. I’ve seen her in real life and she’s wonderful and gorgeous. And I haven’t even had my cocktail yet today and I say that. I love everything about this. Everything. It makes me want to make a margarita and toast you guys right now. (Even though it isn’t noon yet here and I’m at home because I’ve had my eyes dilated and everything is freakishly bright and blurry – maybe one of your chocolate drinks will help.) Congratulations to you all and I am so so happy you are here. We’re happy to be here too and so glad to have you here with us! WOW! what fun! This is going to be GREAT !! Tons of sharing and practical ideas !!!! Cocktails are practical , you know! Thanks!!!! 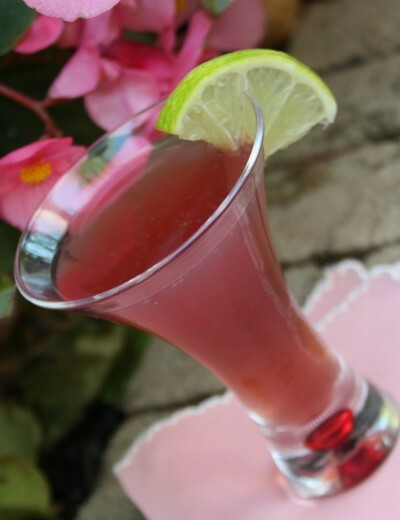 Cocktails are not just practical – they’re essential! Okay, commenting here for a chance to win a prize on Facebook. (Could you make it more confusing? ;)) Kidding. Love you guys! Nope. Couldn’t make it more confusing if we tried. Should have seen how confused we were last night trying to figure this all out But we have some awesome slaves and they’ve earned their keep this week! Thanks for playing Kelly! 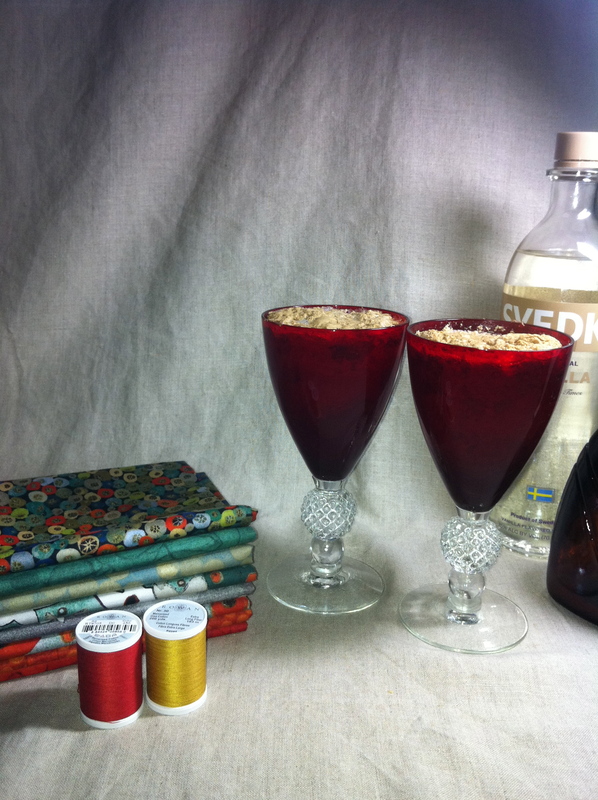 Sounds like a great cocktail to me, but after a few of those, I wouldn’t be able to sew straight! That’s why we all need a Designated Stitcher, Kathryn. So, no imbibing ’til you’re done with your sewing, girl. We like your fingers! Thank you Rashida! Hey guys, take note: Rashida will be playing with us very soon. If you heart linen, Rashida is YOUR gal! Congratulations on the new venture! 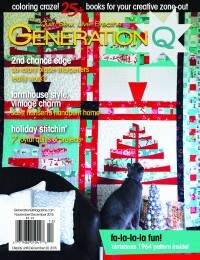 I love Quilting Art and would love to win the calendar too! Thank you Lisa! And that’s just what we did last night. Next time I’m bringing it to Guild. Congratulations on being up and running!!! Can’t wait to see what you all have cooked up. Hooray!!! Congratulations!! 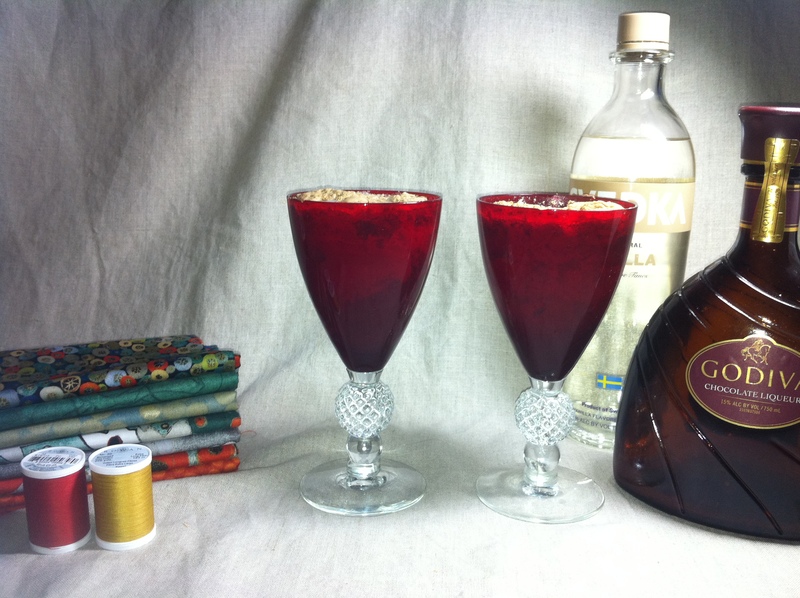 Quilting, humor and alcohol what more can you ask for!! Oh, I am SO looking forward to this! I think we can all benefit from learning new techniques and seeing new designs. Inspiration, education, encouragement, friendship, fellowship, creativity…love it! 🙂 I’ll mention you guys at our MQG meeting tonight and hopefully drive more traffic your way. Thanks Melissa. Every BODY counts here. The more who visit, the faster we can grow. Which guild are you in? So excited about this! The Atlanta Modern Quilt Guild has been talking about your presence for awhile now, so we’re excited the ball is rolling!! Thanks Andi, Glad to have you be part of the madness. I’m so glad I found you! I look forward to seeing what this grows into! 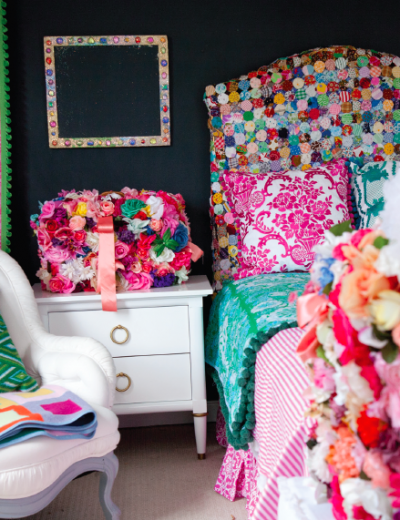 Kim, your Project QUILTING is awesome. I might just have to do it myself!! 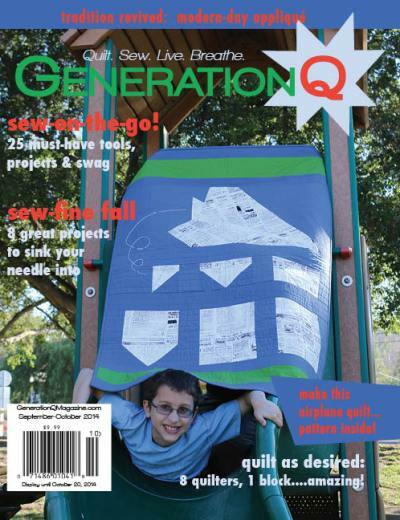 So glad to see GenerationQ up and running. Looking forward to reading all the posts and cant wait to spend a few dollars! Hang in there Candi. Might be a few weeks until we’re ripping the bucks from you, but we’ll keep you smiling until then! Congratulations! 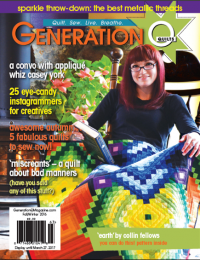 Your magazine is looking great! Congrats on the new website, as well as the new adventure! Nice, clean design! Have a great evening!!! Congrats! I’m loving this already! How exciting is this! I going along for the ride. Congratulations! Congratulations! I see already that we can look forward to more of your cheeky and irreverant humour! So happy you are here. Did you bring the posse along for the ride? I’ll look into it, Linda. Getting the right products is on my list and I’ve had a request for v-necks as well. 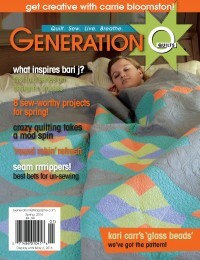 I’m the President of the St. Louis Modern Quilt Guild, and a member sent me to your site. Can’t wait to see where this all leads, it’s looking good so far. 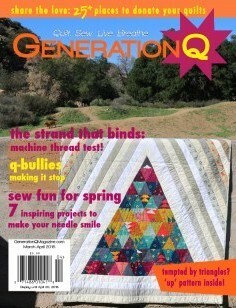 To get our quilt news!! Looks like you may have a winner here, kids — and fun for an old broad like me!